Tri-radial Furling Genoas. We produce premium genoa sails at discounted prices for most boat manufacturer Hunter, Catalina, Beneteau … Get instant online pricing for your new quality genoa. Horizon sails are created by experienced sail designers and built under supervision of accomplished sailors. Your new genoa will be made specifically for your boat. Crosscut Hank-On Genoa and Jibs - Snap Shackle Tri-Radial Genoa. 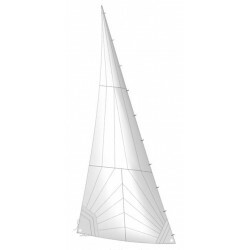 We produce premium tri-radial genoa and jib sails at discounted prices for most boat manufacturer Hunter, Catalina, Beneteau … Get instant online pricing for your new quality jib or genoa sail. Horizon jib and genoa sails are created by experienced sail designers and built under supervision of accomplished sailors. Your new radial genoa will be made specifically for your boat. Our sails are designed for high performance cruising for longer shape-life and built with best standard for durability and long service-life. 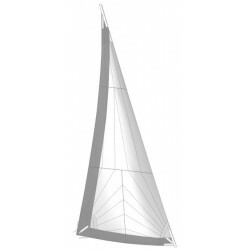 We produce premium tri-radial jib sails at discounted prices for most boat manufacturer Hunter, Catalina, Beneteau … Get instant online pricing for your new quality jib. 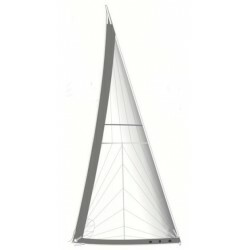 Horizon jib sails are created by experienced sail designers and built under supervision of accomplished sailors. Your new jib will be made specifically for your boat.